Google Asia President: "We Never Left China"
Google has refuted claims that it abandoned its operations in China, as Daniel Alegre, president of the company’s Asia-Pacific operations, told Bloomberg that the company “continues to thrive” and focus on the world’s most populous country. We never left China, and we continue to believe in the market. It’s a very vibrant Internet market. We have some of the best employees at Google and we continue to grow not only our revenue but also our headcount in the country. Google executive chairman Eric Schmidt recently described China’s censorship as “a truly bad set of laws” which Google couldn’t handle any longer after five years in the country. However, having just passed 500 million Internet users and with a thriving mobile scene, the country remains a hugely lucrative market for a number of firms, including Intel, which is pushing its new Medfield-based devices strongly in China. The Chinese search market, Google’s staple diet, is lead by China’s own Baidu (with 77 percent share) and worth a reported $866 million, having seen a 78 percent increase in industry-wide revenues last year. The most recent indicators suggest that Google’s market share is 16.7 percent, a figure that decreased 0.5 percent over the last quarter, and is some way behind the Mountain View-based company’s peak, which saw it account for 35.6 percent of search in China in 2009. Since relocating its search engine to Hong Kong where it now avoids Chinese search censorship, Google has had a a series of high profile issues in China. The company alleged that China was throttling access to Gmail in March while, more recently, Android Market, the web store for its operating system, suffered access issues before being unblocked after Google claimed it had fixed technical problems. 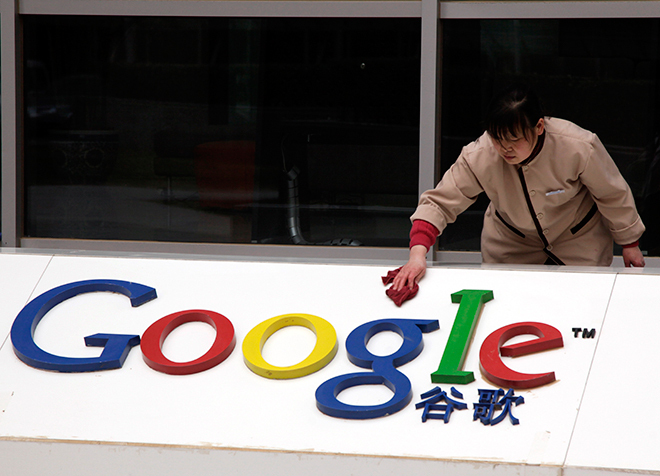 Last year, Google announced that it had been forced to withhold details of one request to remove content on its site “because we have reason to believe that the Chinese government has prohibited us from full disclosure”.